Promoting marine biodiversity, eco-friendly tourism and development along with sustainable fishery, Sweden’s new national park is open for business this week. 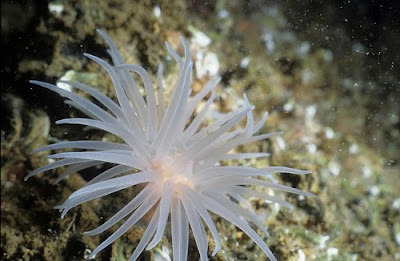 Kosterhavet, Sweden’s first marine national park, hopes to protect 6000, yes 6000! marine species, 200 in the seabed of the Kosterfjord, species found nowhere else in Sweden, in the waters off the Bohuslän coast, near the town of Strömstad and the Norwegian border. Because of its location on the Atlantic Continental Slope, kelp-forested Kosterhavet, already home to Sweden’s largest population of harbor seals, hopes to become a safe haven/breeding ground for brachiopods, sponges, corals, unusual species of red and brown algae as well as a nesting area for rare seabirds such as arctic terns and skuas.